Today was a lovely way to break from studying for finals. 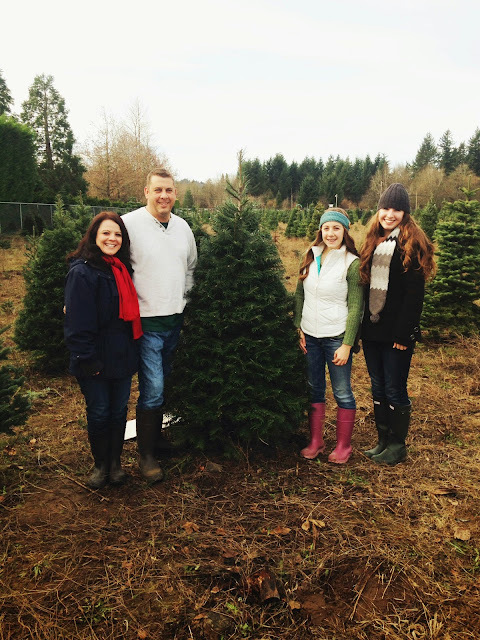 My family went to get our Christmas tree from a tree farm this year, and the experience was just how I imagined it. It really is a family event. We went to JTB Tree Farm on Richie Rd. and there was actually a pretty good turn out of people. It was fun to watch the other families find their trees. There were mostly short trees, but they were full, and beautiful! We had to search high and low, literally. 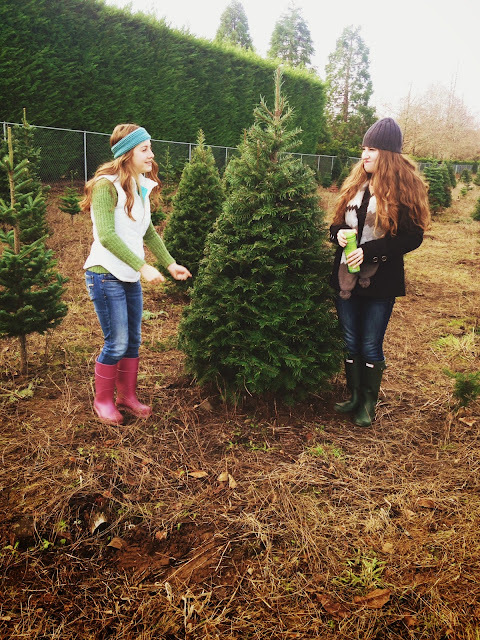 This tree farm has multiple levels of land, so we went all over to look. We had a few good candidates, but when we went back to the parking lot level, there was the perfect tree right behind where we parked! 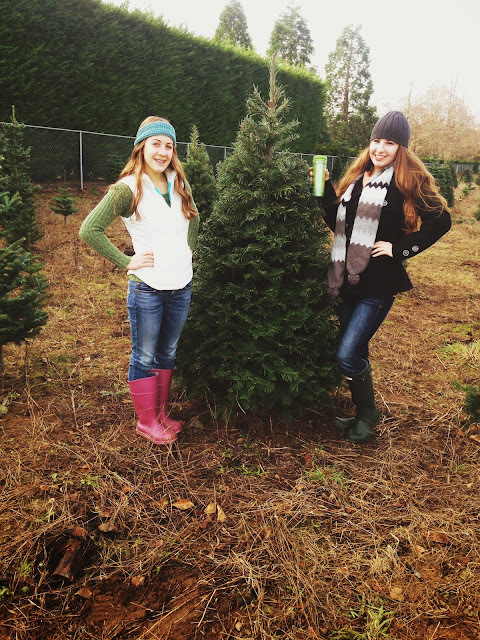 We were so glad to find this tree! There was free cider to all of the guests at the farm. They provided saws, and kneel boards for us, they even provided "shake" service. They attached the tree to this machine, and it would just shake it so the extra needles, and bugs would shake off. They also netted up the tree for easy transport. It was such a fun experience, and it was perfect weather. I am so glad that there was no wind, no rain, and it wasn't freezing cold. It was beautiful! 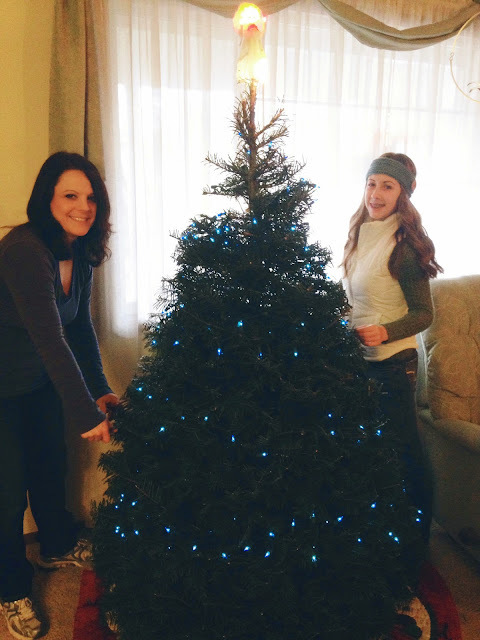 We took it home, and then went out to purchase more lights, then it was time to decorate the tree! My mom brought out all our ornaments, and each ornament has a memory. 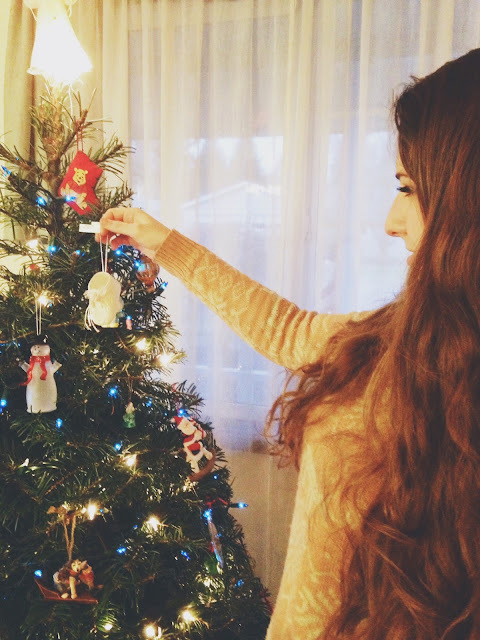 I love the stories that each ornament holds. 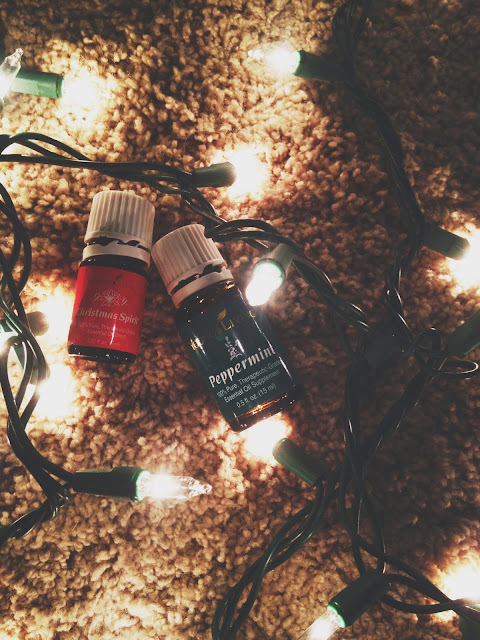 While we were decorating the tree, I put peppermint essential oil, and Christmas Spirit in the diffuser. It is such a beautiful scent blend, and pairing that with the traditional Christmas station on Pandora, it was a magnificent time decorating the tree. It turned out beautiful! I am so excited to be done with this week so I can start my Christmas baking, Christmas gift wrapping, and Christmas crafts. I am so excited for this Christmas. 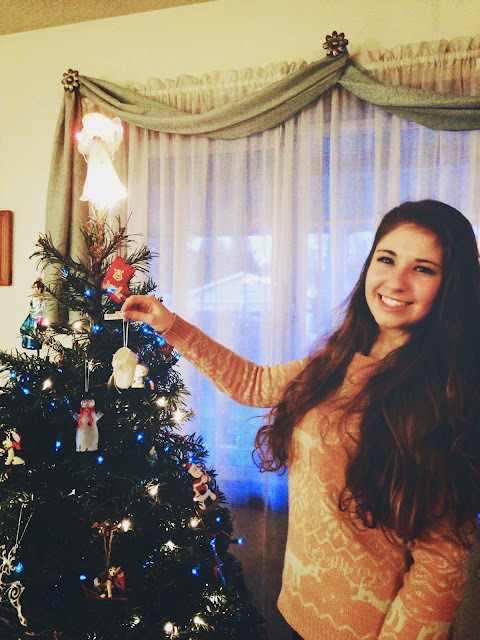 This is the last Christmas that I am spending with my family when I am living at home, and being a part of the household. I wanted to make this Christmas extra special. It will be a great one! 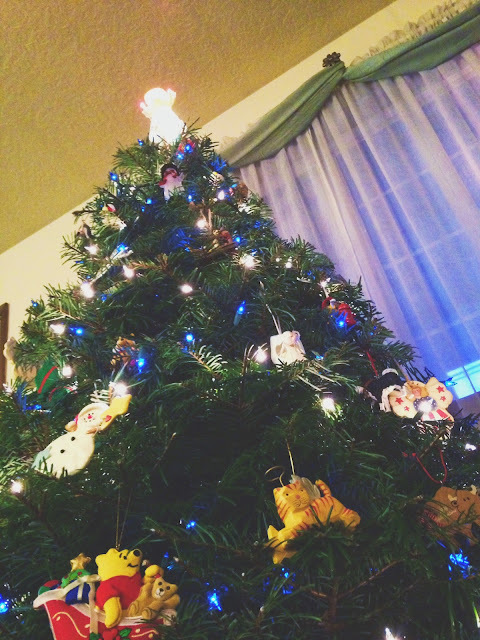 I love looking at the tree, it is so beautiful. 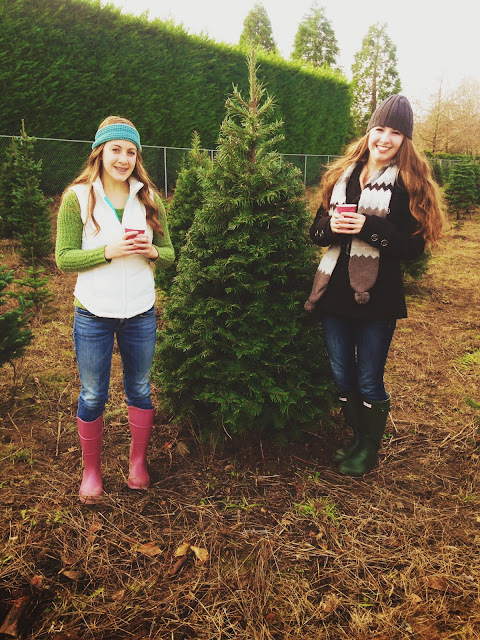 We picked a grand tree. Have a great week readers! You are awesome! Thank you, April! I will definitely do that! I have a lot of fun, Christmas-related posts in store, so I will definitely share them on your linky party. Thanks for the invite!